From the Iron Age to the end of the Roman Empire there were workshops at Kimmeridge Bay and along the cliffs where shale and blackstone were made into armlets and jewellery. Shale was also used to make furniture, some of which can be seen in the Dorchester museum. 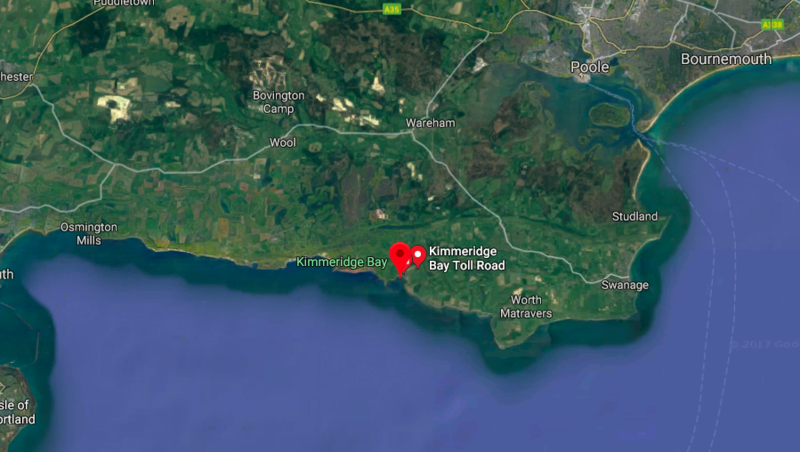 In Henry II’s reign, the Abbot of Cerne obtained the right to collect all wreckage on the shore, which right has been passed down to the Mansel family who are the present owners of Kimmeridge Bay. Smedmore was last sold by Henry Smedmore in 1391 to William Wyot, who married into the Clavell family. John Clavell in 1554 purchased the Manor of Kimmeridge, thus joining the two estates. 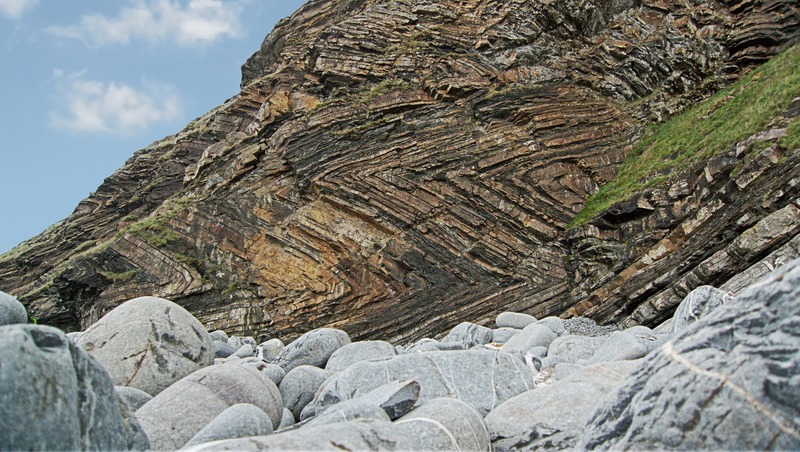 John’s grandson, Sir William Clavell, set up a business at Kimmeridge Bay for making alum, used to fix dyes in cloth. 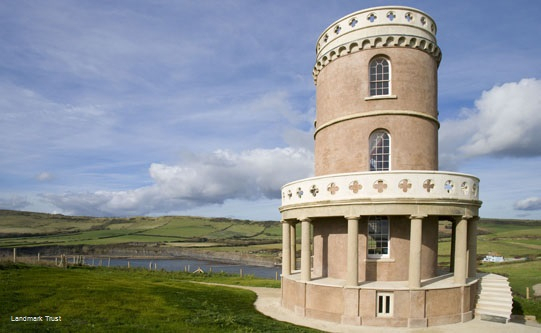 He also set up a glass house using the oil-impregnated rock at Kimmeridge Bay to fire the furnaces. Clavell was forced out of business by Sir Robert Mansel who had obtained the monopoly for making glass in the Isle of Purbeck. In the nineteenth century gas extracted from Kimmeridge shale was used, by a succession of companies, to light the streets of Paris. The estate was inherited by the Rev. John Richards Clavell, who in 1831 had Clavell’s Tower constructed overlooking the bay. He died in 1833 and – although his housekeeper produced a forged will in her favour – left the estate to his niece Louisa Pleydell. She had married Colonel John Mansel (descended from a brother of Sir Robert Mansel). In 1940 Smedmore House was let briefly to a girls’ school, before being occupied by the American Army in preparation for D Day. The adjoining Estate of Tyneham was requisitioned by the Ministry of Defence for military training and Tyneham village can now be visited as a pre–1942 time warp. Kimmeridge Bay still has concrete blocks and pill-boxes, erected in 1940 as a defence against the expected German invasion.